Flickering bulbs? Weird buzzing coming from the electrical panel? Well, this can't be good. This kind of signs foreshadow your property's electrical issues. And they are coming sooner than you think. So you better let a seasoned electrician take a look at what's going on. This way you won't go through one of those “something-isn't-working” disasters that make you wonder how could you possibly live without electricity. Keep Calm, the London Electricians Can Fix It! Most people usually resort to an electrician when things have gone out of control. Oh well, better late than never, right? It's important to stay collected, but also don't go poking the places that can zap you. Just wait for the specialist to arrive and handle the situation. We'll send a seasoned electrician who is 100% equipped and ready to tackle all matters related to electricity. Q: What about the extra materials that are needed? A: Such expenses will be added to your final bill. On the other hand, if you know for sure what materials you will need, then you can simply supply them yourself and only pay for the labour. A: Totally! 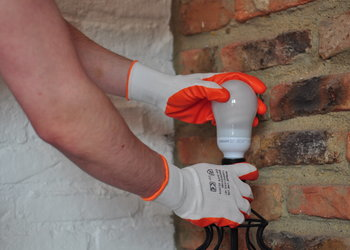 Once the electrician is on site, he will do everything in his powers to fix all issues and complete any installations. And you are to pay only when he is done with the job, you won't be asked to pay anything in advance. Q: What is included in the service? A: The electricians bring all the necessary tools and equipment to complete a service. 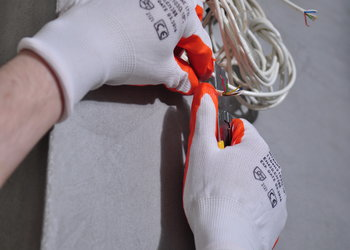 If you are not sure what materials will be necessary, then your electrician can do an inspection. 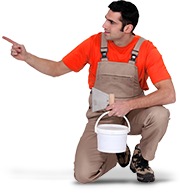 This way he will be able to give you a more precise quote for the job.